Hong Kong is full of cats. Unfazed by the crowds, they stroll around in the hustle and bustle of this mega city's busy streets. Somehow they find a way to go about their feline business in their usual carefree way--eating, napping, pondering life and the other important things cats do. 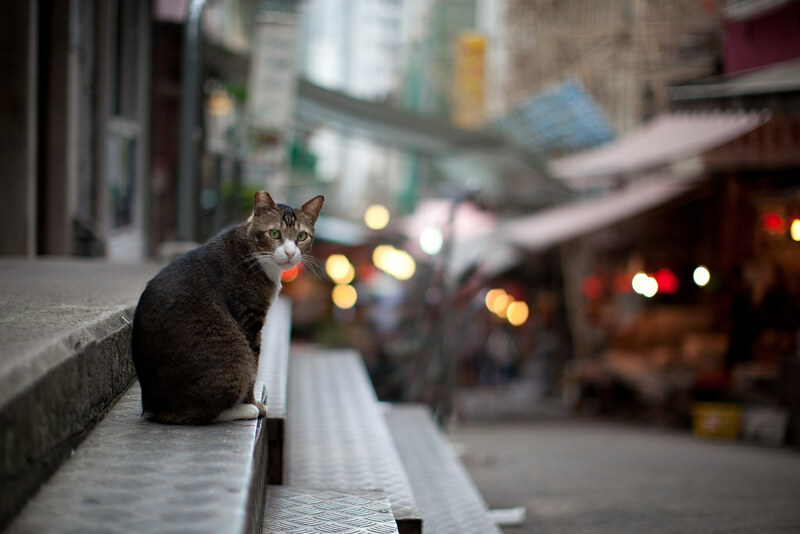 No matter they are in the middle of one of the world's financial centers, they live like most other cats. City cats, country cats, it's all the same. Their two-legged neighbors could probably take some lessons from this way of life.